The National Labor Relations Act (NLRA), also known as the Wagner Act, is often referred to as the Magna Carta of organized labor because it dramatically strengthened the ability of labor unions to represent workers. 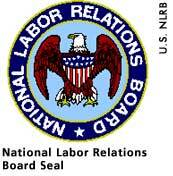 By creating a permanent National Labor Relations Board (NLRB)with the power to supervise union activity and penalize abusive management practices, the NLRA fostered an empowered trade union movement. In one of its first decisions, the newly created NLRB affirmed the right of unions to represent workers, bargain collectively with management, and to strike under appropriate conditions. The decisions came as no surprise to pro-business forces, who were angered at the president for having filled the NLRB with outspoken pro-labor liberals, but their protests grew softer in the early 1940s as FDR's appointments grew increasingly more moderate. Furthermore, American involvement in World War II necessitated the creation of a National War Labor Board, which held enormous power over American production and industry. As could be expected, the new board quickly overshadowed the NLRB, but even after the war was won the NLRB never recaptured the activist spirit that had animated it during the New Deal. With passage of the Taft-Hartley Act in 1947, the board's powers were formally scaled back, reflecting the increasingly anti-labor climate on Capitol Hill in the late 1940s. Eleanor Roosevelt had been involved with the trade union movement since the early twentieth century when she was heavily involved with organizations like the International Ladies Garment Workers Union and the Women's Trade Union League. As such, the first lady was heartened by the creation of the NLRB and was proud that it had facilitated the effective representation of working people. After FDR's death, she used her newspaper column to lobby against passage of the Taft-Hartley Act, recognizing that it would deprive the NLRB of much of the power that had made it effective. Black, Allida M. Casting Her Own Shadow: Eleanor Roosevelt and the Shaping of Postwar Liberalism. New York: Columbia University Press, 1996, 90. Kirkendall, Richard S., ed. The Harry S. Truman Encyclopedia. Boston: G.K. Hall & Co., 1989, 251-252.